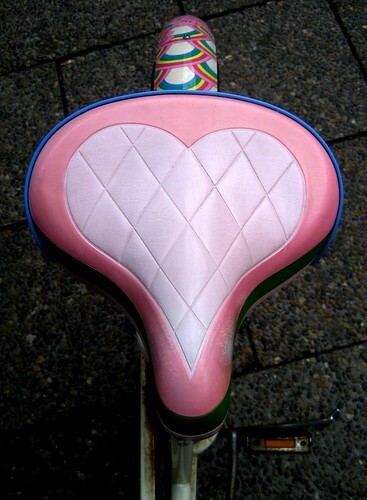 Cycle Chic®: Testimonials From Our Visitors - Thank You! Testimonials From Our Visitors - Thank You! We're honoured and flattered by the many positive emails I recieve almost every day. I've said it before, I'll say it again. I only ever set out to create a photographic portrait of Copenhagen cycle life. It's snowballed into bike advocacy and inspiration to other people in other cities. That's just amazing to me. Here are some of the testimonial emails that have moved me and made me misty-eyed. I wish to thank you for your blog site and especially for the work you are doing to promote bicycling transportation. It cheers me heartily to see all the pictures of beautiful Copenhagen cyclists and it gives me hope for our future. It is also my foremost source for fashion inspiration. In my small city in Montana, I ride my bicycle(s) almost exclusively for transportation. Your Cycle Chic movement has inspired me to celebrate being a woman and celebrate bicycling by wearing skirts and dresses on my bike. Bozeman is very informal and casual, being the former cowboy town that it is, but I try to ride elegantly despite it all. I've even had a number of women approach me saying "I make it look easy and fun to commute via bicycle." Yes! In a few weeks I will be teaching a bicycle commuting course and I hope to mention your Cycle Chic website to interested participants. I just ordered a brand new Centurion Basic 7-gear last week. I've been cycling for many years, but only for exercising - yes, I'm one of the dreaded Lycra-clads ;-). Anyway, after following your blog for some time, it has become more and more clear to me, that I must have a bike for my daily transportation needs around Copenhagen. And after another stressful day of crammed busses and metro trains, I had enough, and raced to one of the local cycling shops and ordered a new bike! I will pick it up on Tuesday, and I just can't wait. Can't wait to be a part of the morning bike traffic and to rediscover Copenhagen by bike. Just cycling around the city for no special purpose. And I can't wait to feel free like only a bike can make you feel free. It's a long time since I have used a bike for daily purposes, but now it feels so right, and I should have done this several years ago. Even though I'm living in Copenhagen and I'm experiencing the Danish bike culture every day, it's your brilliant blog, which made me realize that I need a bike again. Thanks a lot! Hello! Ottawa sends you greetings and thanks for an inspirational blog. Here in Canada's capital, there are six months of winter often waist deep in snow. When the thaw comes, a switch flips in peoples' heads and they become cycle-keen. Some just can't stop when the deep snow comes, although they are mostly urban cyclists. You will be happy to know that some Ottawans have picked up the thrown gauntlet of Cycle Chic and are both relaxing and adding style to their pedaling. Since there are hundreds of kilometers of cycle paths around these parts, there were always many cyclists. Over the last couple of years, the Chicographic has definitely changed for the better with less lycra, less clip-in pedals and more boots, overcoats and stylish street clothes. My wife and three children are partly Copenhagenized. We all take our bikes in the morning to work and school. My children aren't the problem. The issue is I need to get my wife thinking about putting on her good clothes before she leaves for work - somehow this has not occurred to her yet. I miss out on seeing her in style! I did raise her handlebars for an upright ride - style over speed. On a personal note, I cycle 32 km round trip to my office in the suburbs from downtown, against the cycle traffic. I have the luxury of taking a bike path from the end of my street that takes me along the Ottawa river all the way. The water, the changing seasons and camaraderie of my fellow cyclists is what keeps me going. Thanks to this new movement, Cycle Chic is now a luxury I also experience now and again on my rides. Thanks. "I've been trying to get my wife on a bike for years. I had her very close to Getting a bike and committing to riding when she found your pictures and website and became convinced that she should. She is starting out slow, with evening rides in the neighborhood, but wants to be able to commute to work as I do. Thanks for the help. Just wanted to let you know that you have helped add one more to the number of People in the U.S. who commute by bicycle. It is a slow process. I doubt we will Ever get to where you are in your country, but we can keep trying." Thank you so much for your wonderful Copenhagen Cycle Chic blog. I started reading it after it was the "featured blog" on Blogger, and just finished going through the backcatalogue of posts yesterday. Thanks to your blog, I bought a bicycle (1970's Schwinn Suburban) and went on my first big ride yesterday. Unfortunately I can't bike to work, due to a narrow, winding road between my house and the office, as well as a bunch of morons in pickup trucks who wouldn't look twice at a cycle unless it scratched their paint. So far your blog has converted me to cycling... still working on the chic part... I have the style sense of a lobster, but that will be the next problem to work on!" "You're converting people, one photo at a time. Your comments and photos offer a glimpse into something so beautiful, and I am very jealous." "I love this website, I really do. Cycle Chic influenced my decision to ride in the winter, to ride in a dress, to ride in heels and not care what any one else said about it." "I found out about your bicycle blogs through Momentum magazine and now I read them both every day. I just wanted to let you know that the approach you all take has caused a real shift for me. I commute by bicycle year round here in Flagstaff, Arizona. (That isn't as easy as it may sound as we are at 7,000 feet above sea level and have some pretty awesome weather. Typcial temperatures here right now are 10 degrees Fahrenheit.) My problem isn't the weather though - it is my attitude. I love riding my bicycle, but when I mount up in the morning I approach it like I am going into battle. I jam my helmet on my head, grit my teeth, and charge out onto the road, just daring a motorist to deny me my lane. So, I tend to ride really fast, taking a huge amount of pleasure out of actually passing cars. Now I don't ride a racing bike - I have a fantastic 3 speed Breezer commuting biccle that I adore. But I will drive my body to the breaking point to pass a car just so I can wipe their smug smiles off their faces. "But after reading your blogs for the past several weeks, and looking at the incrediably peaceful pictures, I have forced myself to slow down. I don't view my commute as a battle. Instead, if I find myself picking up speed so I can overtake a motorist, I make myself drop down a gear and I ask, "What would a Copenhagener do right now? They would sit up a little straighter, notice that beautiful raven perched up in a snow clad tree, and smile." "So, thanks for the attitude adjustment. I'm going to go see if I can convince the local community college to start offering Danish classes." This email was so moving and amazing to me. This little blog with its photos and commentary reached across the seas and made someone else change their attitude regarding biking. It literally brought tears to my eyes. "I just learned about your Copenhagen bike blog from the WABA site (Washington Area Bicyclists Association). As a woman I find it utterly charming and inspirational, and I look forward to seeing the new photos each day." "I am so happy to have found you on the web and to hear your cheerful, sensible voice nearly every day. I am a bicycle commuter in Albuquerque, NM. All of the bicyclists and bike shops I know are recreational riders first, commuters second, and bike transportation folk third. To be able to share your point of view on 'bike culture' makes me feel un-lonely and optimistic. Albuquerque is actually not bad for bicycle transportation; there are many good things about our city and I expect the bad ones to improve. Seeing your example makes me even more optimistic for the 'Burque. Thank you." You're not alone. Not at all. Not by a long shot. "You are my bicycle hero! You are the only person I know who thinks that bicycles are relaxed, fun transportation. Everyone else around me thinks of them as sports equipment and they talk about speed and endurance. Even my bicyclist friends who commute laugh and make fun because my bike has fenders, racks, chain guard and generator. I am the only person I have ever met (EVER!) who has a generator! I quit riding 20+ years ago because my kids were small and my job was busy. I started again 2+ years ago and decided I was old enough and fat enough to buy the kind of bike I wanted. I told my bicyclist friend that my role model would be Mary Poppins instead of Lance Armstrong. I threw away my jerseys (too small), gave away my cleats (too uncomfortable), uninstalled the speedometer (who cares how fast I go? Who cares how far I go? If anyone ask I will guess. I might be the only person I know without a speedometer). If I could have understood then, I would have seen that my kids weren't too small and my job wasn't too busy. Now I have a bike and a attitude that fits in to much of what you espouse on your blogs. Today your blog prompted me to write because of two things. 1) the fellow carrying home the big box. Two weeks ago I brought home a case of beer on my bike and many passing motorists honked and waved. A normal sight in Copenhagen but an unusual one in Albuquerque. 2) "Slowness is a privilege and stress is so last year… Style over Speed". Yesterday my friend asked me to address a group of potential commuters (he is head of my company's bicycle commuter group, all of whom ride road racers or mountain bikes). I told him my topic would be "The Liberation of Riding Slow". We had a big laugh; I think he laughed because it was so silly and I laughed because it was so true. I love to read your blog every day. I feel like I have a like minded friend and a community of friendly cyclists. Aside from that I like to read about civic cycle infrastructure improvement. Maybe Albuquerque can make improvements in that direction too. car-culture rules -- and will for the foreseeable future. This is one of many emails regarding t-shirts and stickers, etc. I finally got around to it. Check out the online boutique. "I live in a small town in Michigan. I have not seen anyone else riding a bicycle all summer. "This is a beautiful blog. "I have to say I love your web site. Every evening, when I have my session of recreational internet surfing, I check you first. "Where I live, riding a bicycle is done mainly for recreation in the summer. Riding for practical purposes seems to be something that does not enter the minds of most people. I ride only for practical purposes, and I notice when I do it that life seems to pass at a more leisurely speed. I fantasize that in a place where tens of thousands of people move about by bicycle, the pace of life would be all that much more relaxed and pleasant. "Plus, if I were 40 years younger, I could meet all those cycling women. Relaxed and pleasant it is, indeed. "I recently read about your blog in a copy of Momentum that I picked up in Victoria, BC, and have been reading it ever since! It's fantastic! I've also been reading Cycleliciousness which is also awsome. "I don't even think about biking as something I do, it just IS something I do. If I leave the house, I have my bike with me 98% of the time, and if I don't, I often feel like I left the house without a leg - I'm constantly wondering what it is I'm forgetting.... It rains a fair amount here in the wintertime, but since I don't drive I don't really have any other option than to bike - and I usually feel better for it, no matter how wet I get during the journey. A little rain never killed anyone anyway. It's good for the soul. "Reading about your bike culture has been quite inspiring to me and encourages me to keep on doing what I do, just living and biking daily, in stylish clothes and all." "I was struck by the acute contrast between the brutal reality (you described quite accurately) of our American cycling environment and the romance and spirituality of the Denmark environment. The Copenhagen blog is really focused on appreciation of beauty; cycling is only the context and not the subject. And it is a celebration of natural beauty--no care at all about the brand of bicycle or components. It reminds me of the traditional Haiku form of poetry that must desribe and embody nature. Two days ago I saw a trio of real lycra clad cyclists (rare here in South Bend, Ind.) blow right through a light in town...inciting some auto horn honking. I can't imagine such war in that paradise called Copenhagen. At least not the way Mikael presents it. Someday I will go and see." A visitor commenting defending us on another blog's comment section. Thanks to your wonderful blog, I've finally started wearing proper work clothes while riding my bike. I started bike commuting by necessity in May, and now I love it. All of your photos (and tags) convinced me to try wearing a dress, which I did last week. Today, I wore a dress and heels. It's much easier than I expected, and I'm thoroughly enjoying it. People are shocked when they see me, but I tell them it's easy and fun. Thanks, too for your Style Over Speed blog. That's my new mantra. All the best from Melbourne, Florida, US. your blog is genius. Your photos carefully demonstrate how the bicycle (the best invention ever)perfectly compliments the human form in motion. so simple, so elegant, so chic. Agreed. These testimonials made me tear up, especially the woman from Montana as I know all too well that state! I can't get enough of this blog. Mikael & co., thanks so much for the inspiration you provide. I found my lovely Electra on my own but discovered I can actually wear normal clothes through Cycle Chic. The lesson in slowing down and having a friendly attitude towards the cars has been invaluable. Those lessons, and the fact that I started wearing normal clothes to work on my bike actually enabled me to get my partner to ride the three miles to his office, which is about as unlikely a thing as I could ever expect to happen. This cycle chic thing really is effective at getting people onto bikes by "de-sportifying" it. Thanks again! Merci pour votre site que je consulte régulièrement, chic,à la mode et pédagogique! Mikael, you ARE inspiring; "simple" photos of ordinary life, but enmeshed with the bicycle, can be jarring to some, but are stirring the soul of many. For years, I did ENJOY a "punishing" regimen of hard pedaling, working on fitness as I commuted (18 miles/day for a few years), and sometimes I lost sight of the pure joy of riding. (Putting down the HELMET helped, though, LOL) Now, I simply ride because that's what I do, and no more reason is needed. The Zen concept of "I ride my bike to ride my bike", as it were. My mental self-image is now, and has been for a few years, an "ageless youth", with one hand on a dependable bike. I'm not part of a "spousal union", and although kids gather 'round me, they do not identify me, either. Being 'one with the bike' DOES. You have helped me with that, and I thank you. All of our small towns and Villages are still somewhat cycle friendly. My father all his life commute to office on his bicycle. In All his office career of 34 years, he has only changed his cycle twice. Roughly his cycles use to last a little more than a decade before he bough a new cycle. And the cycles were so affordable. This date also you can buy a decent cycle under $50. All my graduation and post-graduation days, I have rode cycles and that is what I could own. Two cycle, both under $50. Owning a motor bike used to be luxury at that time. Till this was the happy part of the story. Now I am staying in a state capital. The infrastructure here, in whatever condition is not at all suitable for cycles and pedestrians. This being a IT HUB, people feel that they should commute by no less than a car to office. The roads can't handle these many cars, so they are widening are roads and building flyovers wherever possible. Still the city can't handle the sheer number of cars. But the IT companies are building parking towers encouraging more employees to bring their cars. I am commuting by a motor bike and have recently started coming by bicycle. But we are way behind compared to small towns where I grown up. The car craziness here is very unfortunate. Hoping that this all will change in the coming decades. The faster the USA cities become Copenhagenize, faster other countries like India will go in that direction.